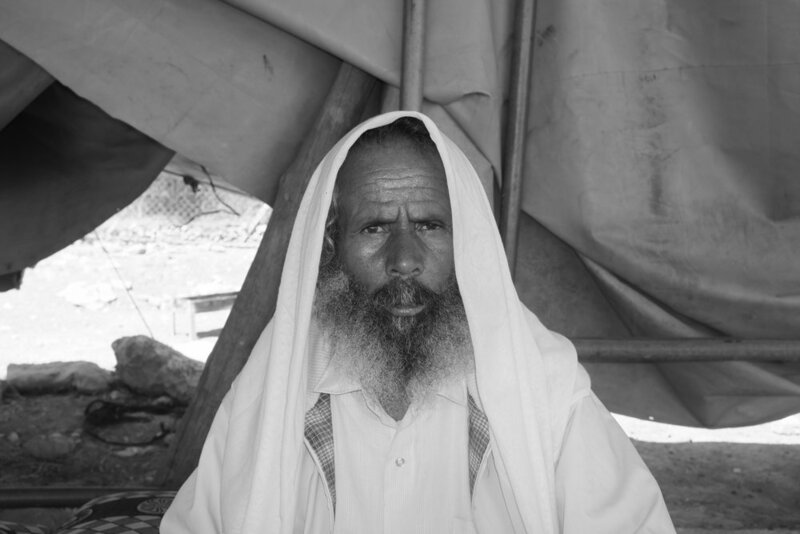 Um Al-Khair is a Bedouin semi-nomadic herding community located in the Southern tip of the Palestinian West Bank. The families who live there are originally from the Negev Desert, now in Israel, a mere 10 miles from their current location. 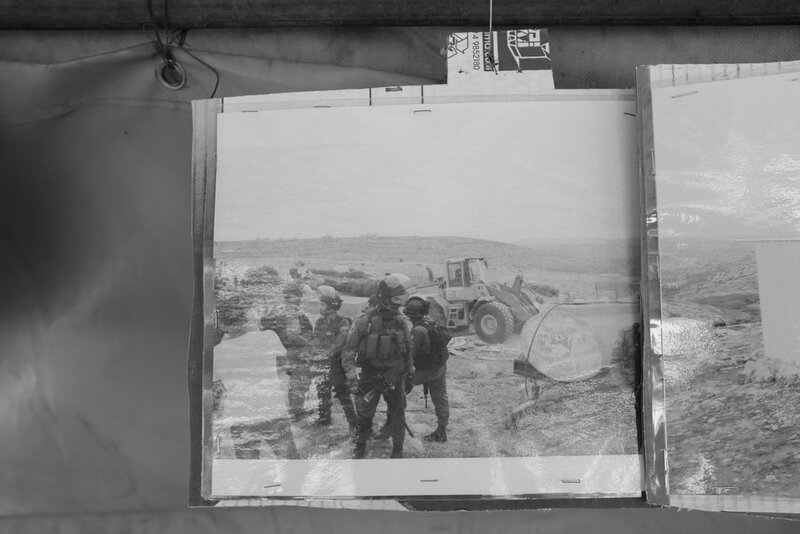 These families were displaced from the Negev in the 1950s following the creation of the Israeli state, and after moving several times within the West Bank they moved to their current location in the early 1960s, purchasing land from local landowners. Following the occupation of the West Bank by the Israelis after 1967, Israeli settlements began to spring up across the West Bank. 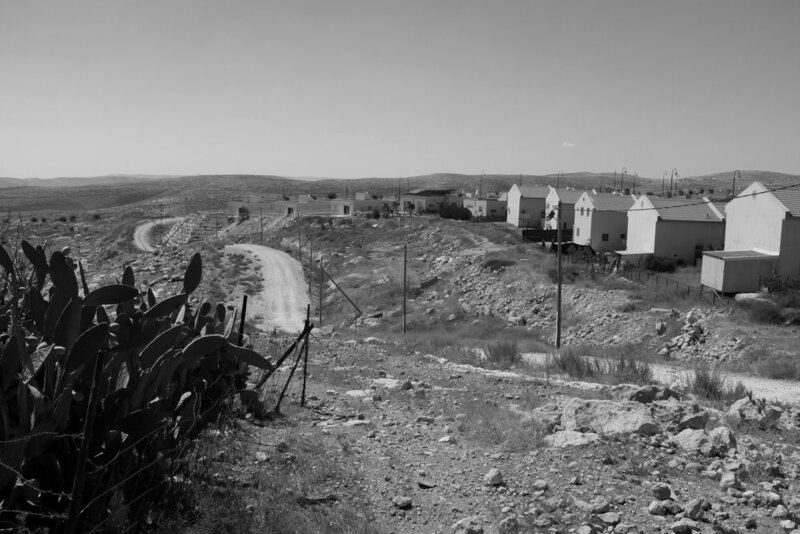 From the 1980s the Israeli settlement of Carmel was established just meters from this community - such settlements are considered illegal under international law and are cited as major obstacles to the illusive aim of peace between Israelis and Palestinians. 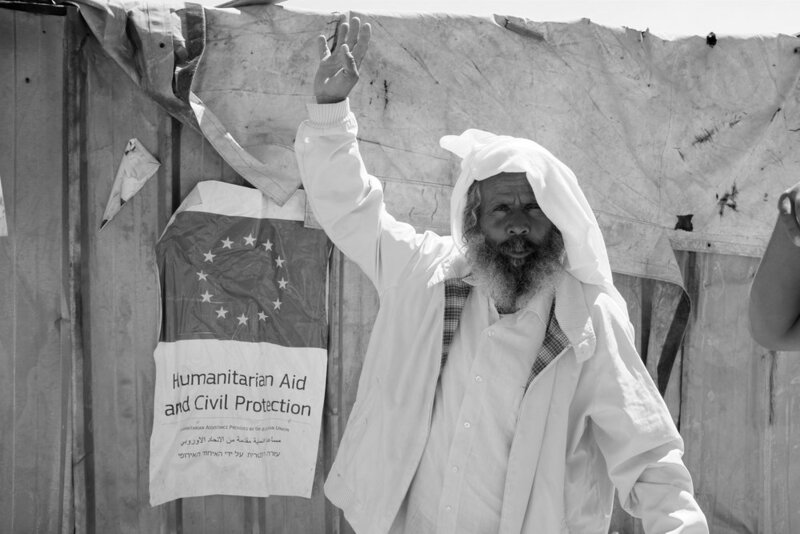 As the settlement has expanded, the Bedouin community has experienced increasing pressure on its expansion - development and has been subject to numerous demolitions by the Israeli authorities and humanitarian supplies are often confiscated. The Bedouin residents suffer regular harassment from neighbouring settlers, who have the benefits of infrastructure and services that Umm el-Kheir lacks. Hajj Suleiman Hathleen was amongst those who left the Negev in the 1950s and is one of the last remaining links to this past. Now in his 70s, Hajj Suleiman remains a steadfast and outspoken advocate for his community in the face of seemingly insurmountable challenges. Set up in 2013, Um Al Khair is a charity set up in the area to help protect the community of Um el-Kheir. To enquire about volunteering with Um Al Khair, please fill out the form below.